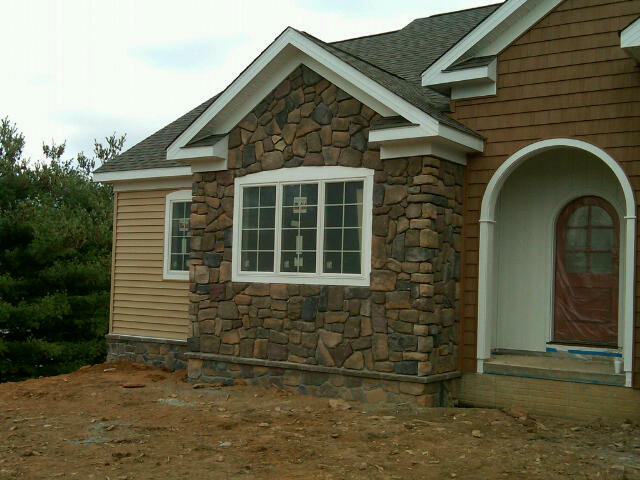 The exterior stone work is nearly complete. It just needs to have the mortar applied around the stones. 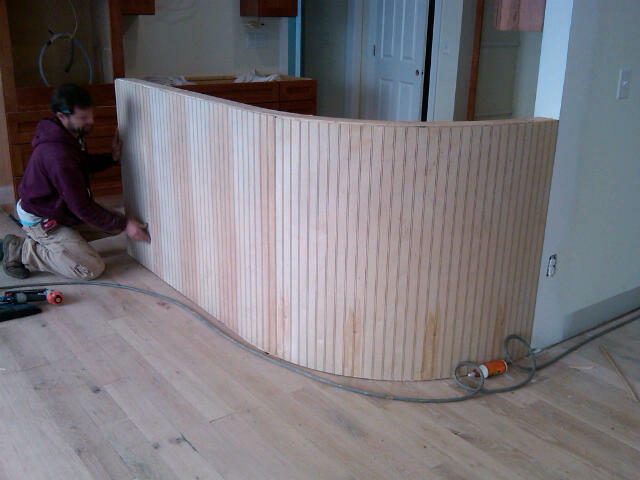 A shot of the wood finish being applied to the breakfast bar area. 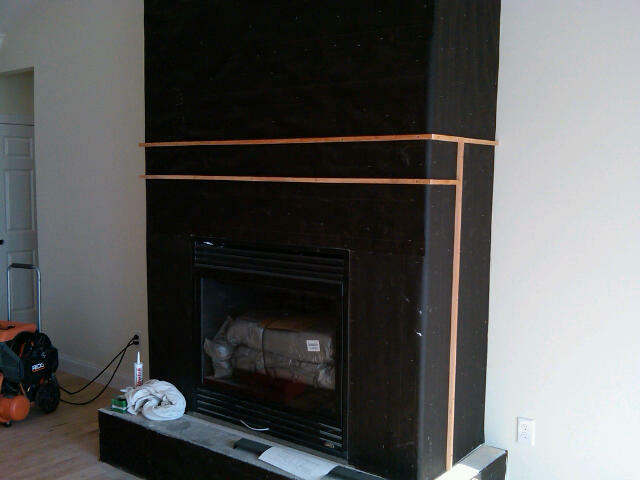 Vince and his crew had to place some "outlining wood" on the fireplace where the custome built-ins will go. Then the guys can start applying the stone. 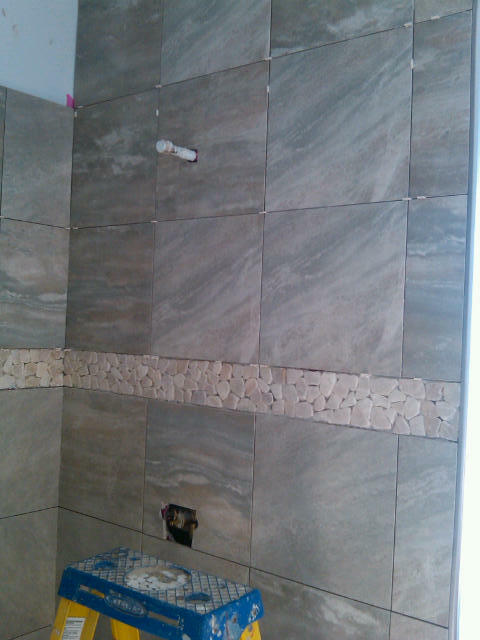 The shower marble in the Master Bath is nearly complete. 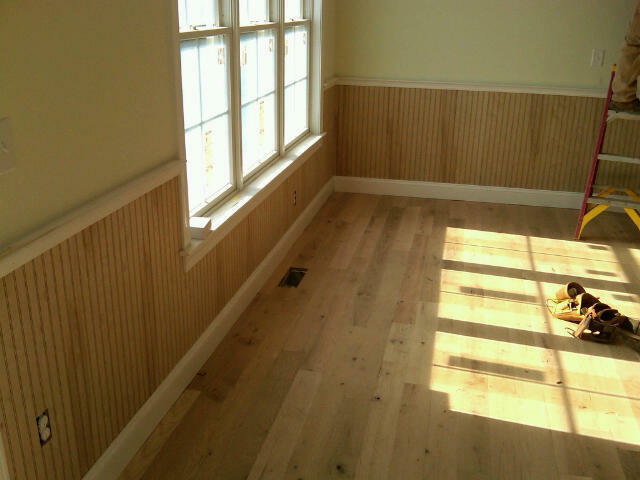 The wood finish has been applied in the Breakfast Area. 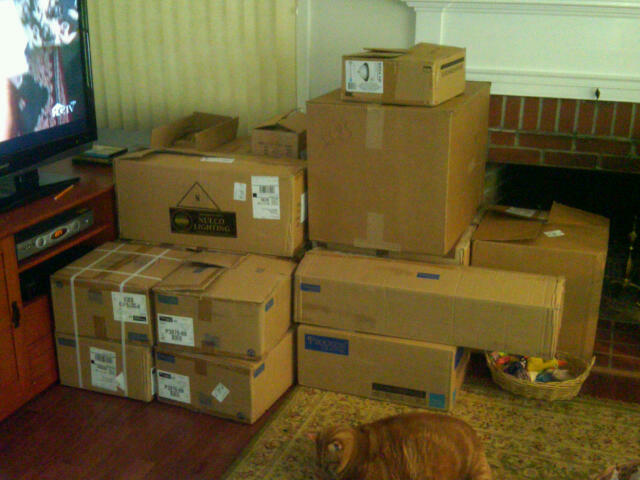 The "lighting package" has arrived and is being stored in our tiny temporary house's Living Room. 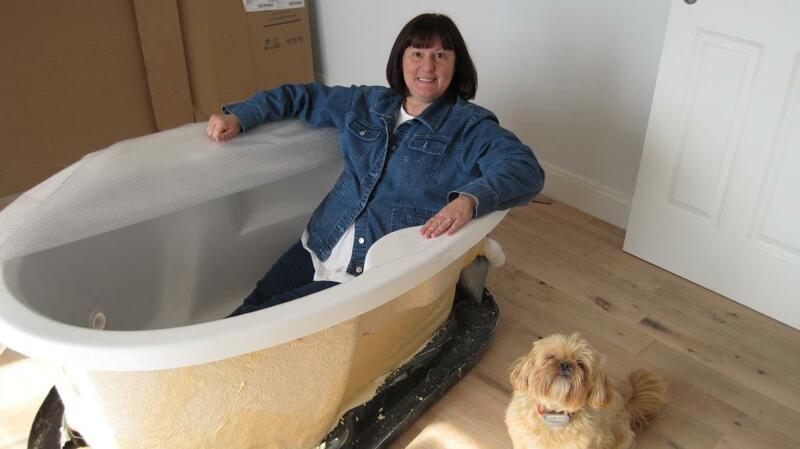 Debi's cherished soaking tub with "bubbles and chromotherapy" was delivered this morning. 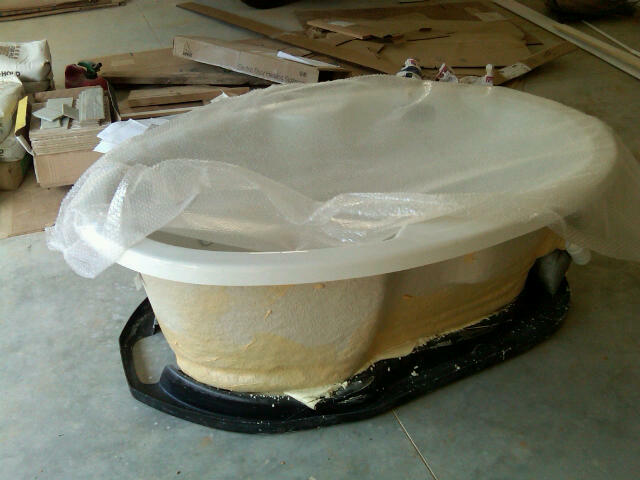 I've heard rumors that if you soak in it too long, you come out looking like the bumper of a '57 Chevy ... LOL !!! !